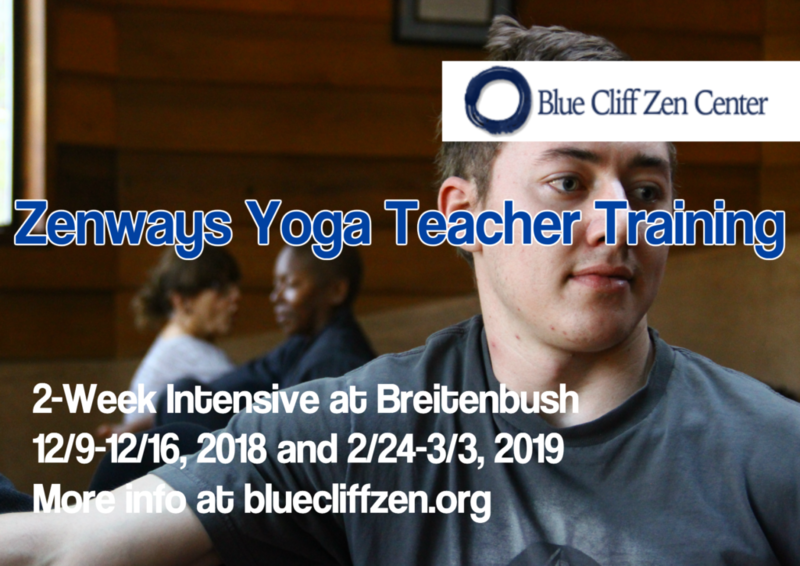 REGISTER NOW: send an email to office@bluecliffzen.org (please enter the subject “Zenways Yoga Teacher Training”). You will receive more information and a registration form. DETAILS: For more background information and comprehensive details please visit the Zenways Yoga Home Page. Also have a look at “Zenways Zen yoga” and “Zenways Zen Taiso” videos on Youtube. DATES: Week 1 is December 9-16, 2018. Week 2 is February 24-March 3, 2019. You must attend both weeks to graduate. VENUE: Breitenbush Hot Springs in Detroit, Oregon. COST: $2990 plus accommodation/meals. Accommodation/meals range from $900 to $1500 for the 2 weeks. DISCOUNTS: Early bird discount of 10% if registered by September 15, 2018. Half-price for graduates of another yoga teacher training: many of us know already qualified yoga teachers who feel they want to grow beyond their initial training. We want to make the Zenways approach available and accessible so we’re offering half price to any previously qualified teacher of an RYT 200 teacher training. SCHOLARSHIPS: 2 partial scholarships still available: get in touch with us to apply. THE ZENWAYS YOGA TEACHER TRAINING IS UNIQUELY ROOTED IN THE ZEN BUDDHIST TRADITION. THE TWO-WEEK, 200-HOUR, TOTAL-IMMERSION FORMAT IS DESIGNED TO TAKE YOU DEEPER INTO YOUR PRACTICE AND INTENTION TO BECOME A TEACHER. WE ARE A YOGA ALLIANCE REGISTERED YOGA SCHOOL. Zen is concerned with finding your own truth and expressing that, and on that journey your body and your experience is your wisest guide. Rather than orientating our course around “our” way and “our” sequences, scripts and postures, we instead orientate ourselves towards your path as an individual. We focus on giving you the principles and techniques to equip you for a lifetime of exploring, developing and evolving, and finding how to teach your truth. We’d love to welcome you into our community of teachers to support you on your ongoing journey. Our 2-week 200-hour total-immersion format gives you the tools you need to become a confident, creative, professional yoga teacher. “The Zenways program has given me the training I need to confidently and safely teach mindful yoga. It meshed beautifully with the strong personal practice I already had and put all the pieces together for me.” – Bonnie V.
“I attended a yoga teacher training with Shinkai from the Blue Cliff Zen Center and I am so grateful for everything I learned through this training. 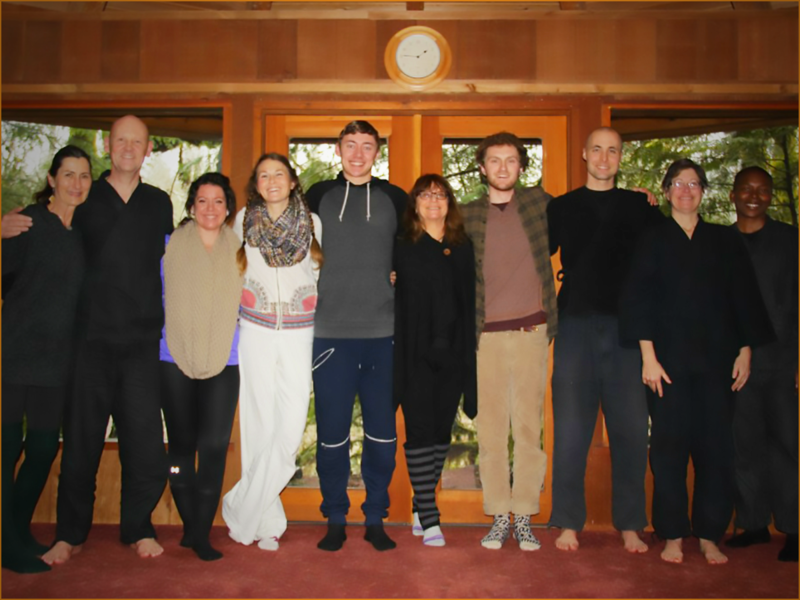 I highly recommend this center…” – Judy G.
“The Zen Yoga Teacher Training course made such a difference. It changed my perspective on yoga, health and well-being, and personal practice. I feel I can offer students a more authentic expression of yogic principles based on the long legacy of yogic practices, the knowledge offered in the training, and my personal experience of yoga.” – Judy N.